and even if you don’t, you will love this bread. 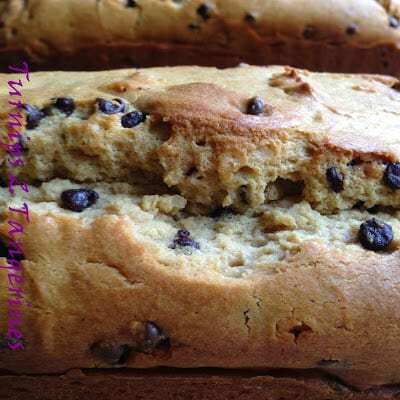 The taste is reminiscent of peanut butter chocolate chip cookies.. Peanut Butter and Chocolate bread has it all. The right amount of mini chocolate chips and peanut butter chips, the added crunch from chopped dry-roasted peanuts and the subtle flavor of peanut butter. It’s super delicious and different. 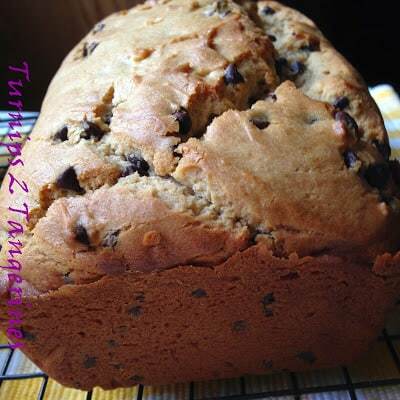 I am a huge fan of quick breads and this bread is a nice change from the typical quick bread recipes. 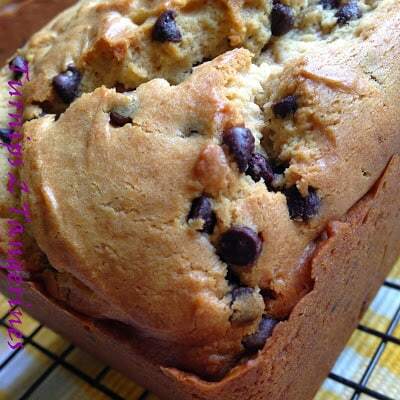 Try something a little out of the ordinary and give peanut butter and chocolate bread a try. You won’t be disappointed. Top slices of this bread with your favorite jam, jelly, cream cheese or my favorite, Nutella. Grease bottom and 1-inch up the sides of two 8 x 4 x 2 inch loaf pans. Set aside. In a medium bowl combine, flour, baking powder, baking soda, and salt. Set aside. In a very large bowl, beat peanut butter and butter with an electric mixer on medium speed for 30 seconds or until combined. Add the sugars; beat on medium speed until light and fluffy. Beat in eggs, one at a time. Combine buttermilk and vanilla. Add buttermilk mixture and flour mixture alternately to peanut butter mixture. Beat well after each addition. Stir in mini chocolate chips, peanut butter chips and chopped dry roasted peanuts. Divide batter evenly between pans. Remove from oven and cool bread in pans on wire rack for 10 minutes. Remove loaves from pans, cool completely on wire racks. Store each loaf in foil or in plastic wrap.